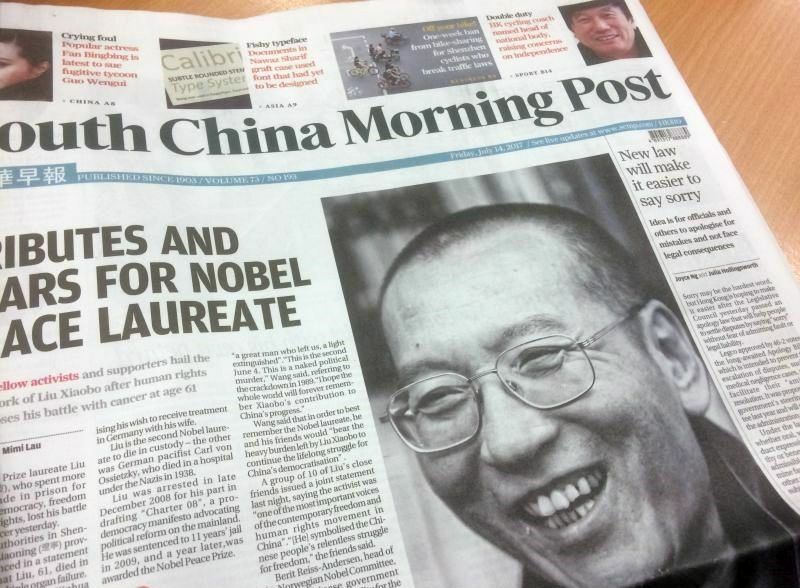 Jailed Chinese democracy activist Liu Xiaobo passed away at 5:35pm on Thursday following a battle with liver cancer. Upon news of his death, hundreds of Hongkongers lined up to pay their final respects to him in a vigil outside the China Liaison Office. 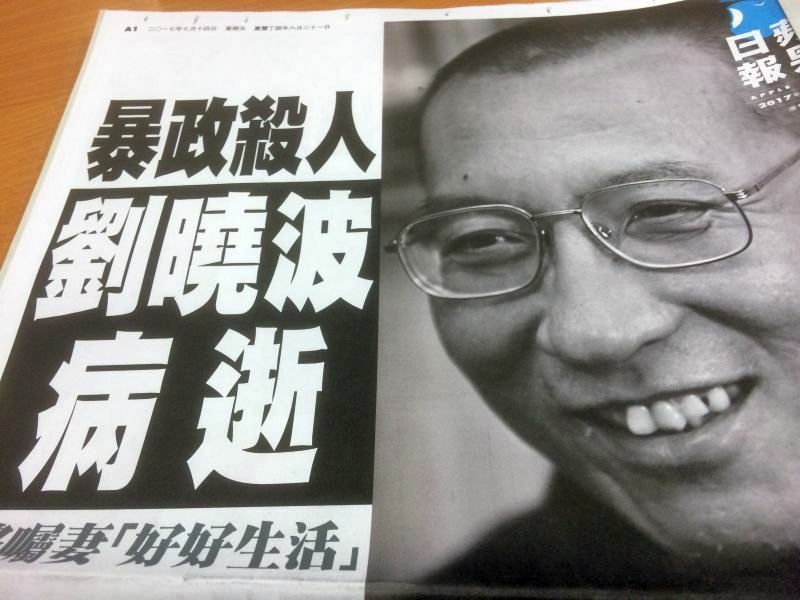 While the city’s pro-democracy newspapers reported his passing on their front pages on the following day, pro-Beijing newspapers buried the news. 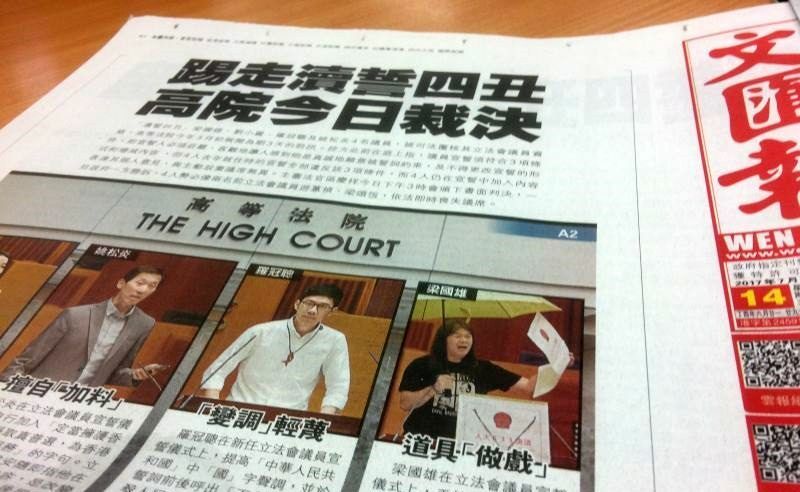 The moderate pro-democracy newspaper printed its logo in black and white on Friday. 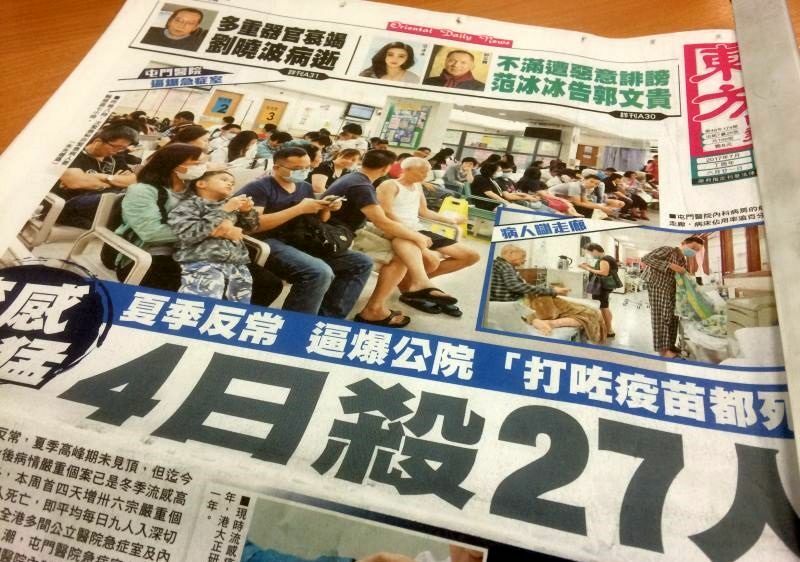 The pro-Beijing Oriental Daily mentioned Liu’s passing in its front page, but led with a report on overcrowding at public hospitals due to high rates of influenza. 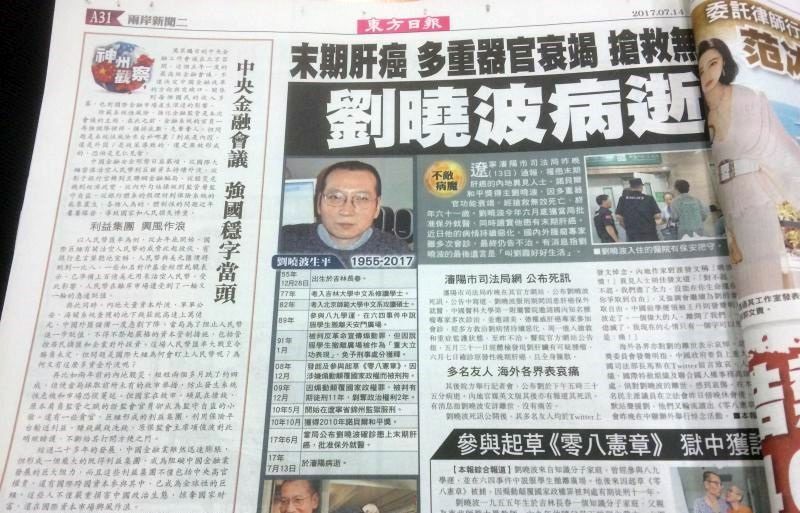 A detailed story on Liu’s life was presented on page 31. 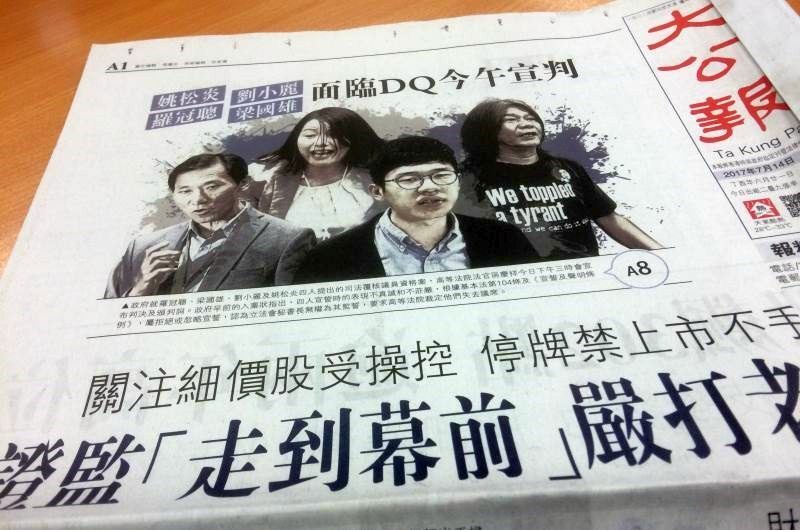 Beijing mouthpieces Wen Wei Po and Ta Kung Pao both anticipated Friday afternoon’s scheduled court judgement on the possible disqualification of four pro-democracy lawmakers from the Legislative Council due to the way they took their oaths. 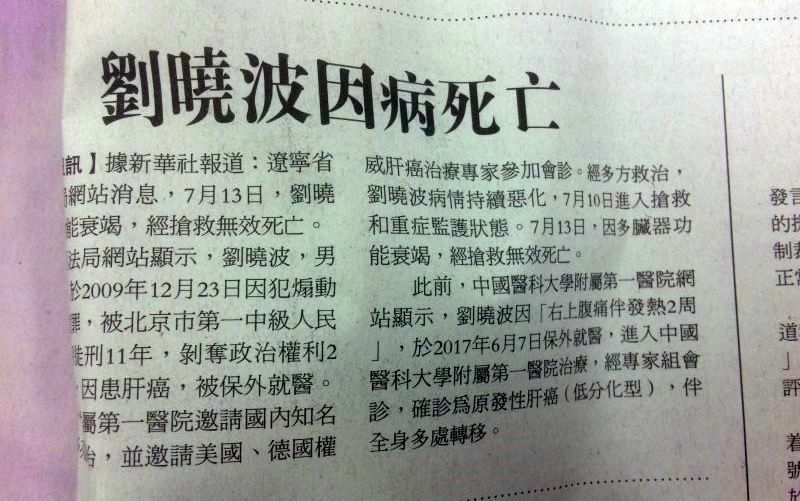 Both Wen Wei Po and Ta Kung Pao, however, published brief reports on Liu’s passing respectively on pages 14 and 4. 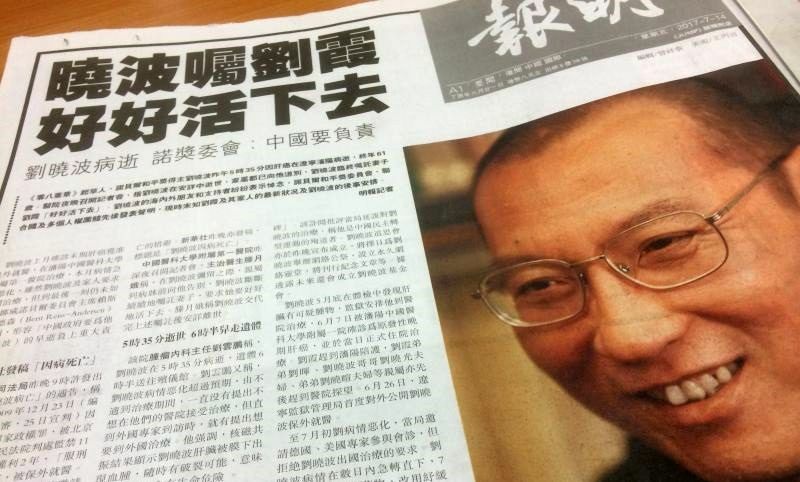 Ta Kung Pao’s report on Liu’s passing, sourced from Chinese state outlet Xinhua. 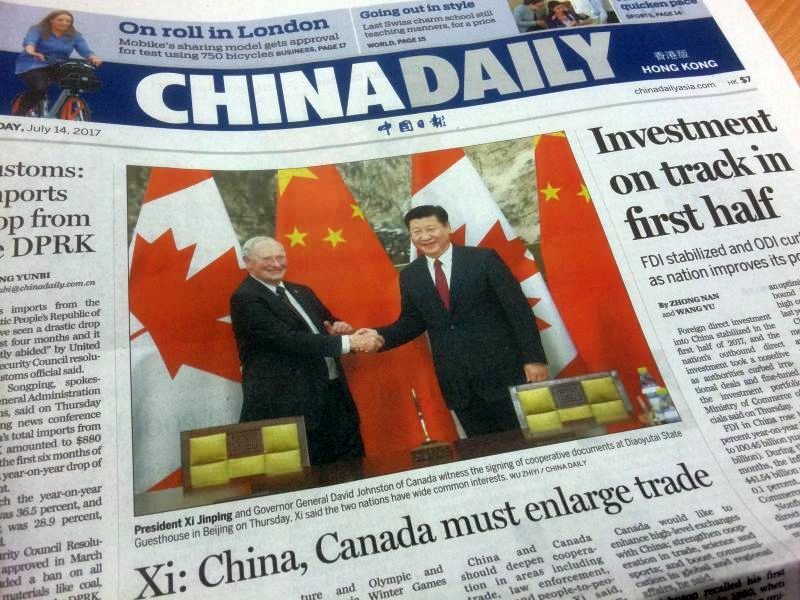 The Chinese State Council-owned China Daily did not report on Liu’s death in Friday’s print edition at all.